Hong Kong’s action god Johnnie To takes a different route with OFFICE: his economic satire about a newcomer in a financial firm, in which merciless rivalry and corruption run rampant, is a buoyant musical comedy – in 3D! 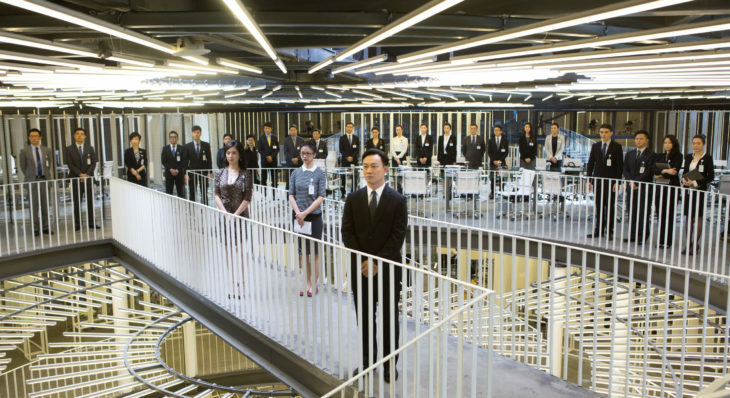 The company’s skyscraper full of glass offices offers more than enough room for innovative three-dimensional effects, the star-studded cast (as CEOs: Chow Yun-Fat, and the author-actress Sylvia Chang) shines and there is never a slow moment. Truly a masterpiece for the whole family.